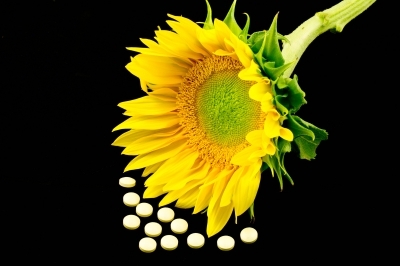 Vitamin D deficiency has been associated with depression (Mann, 2012), and depression and anxiety often go hand in hand. Vitamin D can be obtained naturally from sunshine, but these days many people avoid the sun due to fear of skin cancer and the majority work all day indoors as well, so vitamin D deficiency has become more common. Recent research has identified a link between vitamin D deficiency and anxiety. A longitudinal study of 7,401 individuals in the UK found that the likelihood of suffering from anxiety, panic disorder, and depression was significantly reduced among those with adequate levels of vitamin D (Maddock et al., 2013). The organization notes that vitamin D protects against a number of diseases, and thus may reduce the risk of developing diseases that cause anxiety. Also worth noting is that those born in the spring (who are more likely be low in vitamin D during a critical developmental period due to lack of sunshine over the winter) are more likely to suffer from anxiety (Parker, 1978). While the links between vitamin D deficiency, depression, and many other problems have been confirmed, more research is needed to determine the role vitamin D deficiency may play in anxiety. However, given that vitamin D provides many health benefits, supplementation is a good idea for anxious people, particularly if they also suffer from depression. For information on natural sources of vitamin D, how long you need to stay in the sun to get enough vitamin D, and recommended daily supplement amounts, see the Vitamin D page. For information on depression treatment, see the main Depression page. Maddock, J.; Berry, D. J.; Geoffroy, M. C.; Power, C.; & Hyppönen, E. (2013). “Vitamin D and common mental disorders in mid-life: cross-sectional and prospective findings.” Clinical Nutrition, 32(5), 758-764. Mann, D. (Reviewed by B. Nazario, 2012, January 10). “Low Levels of Vitamin D May Be Linked to Depression.” WebMD.com. Parker, G. (1978). “The Season of Birth of Anxiety Neurotics.” Australian and New Zealand Journal of Psychiatry, 12, 69-71. Vitamin D Council. (2011, May 17). “Anxiety.” VitaminDCouncil.org.